OUR SERVICES - John Mcshane Co. Inc.
As a property owner, you want the peace of mind that comes from knowing your investment is well managed and protected. Your tenants and customers want the very same thing. Engaging a property management company you can trust is critical to maximize your return on investment while minimizing the burden of managing your property. The John McShane Company offers hands-on property management services including leasing, rent collection, delinquencies, payment disbursement, tenant communications, maintenance and repair, renovation and tenant improvements, security and safety, and customizable reporting. Our experienced property management team oversees the daily operations at each property and maintains tenant communications. By ensuring operations are both efficient and cost effective and tenant-friendly, we help you to maintain and maximize the financial strength of your investment property. 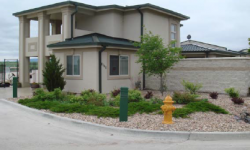 We can assist you in all levels of development: turnkey, additional phases, or remodels. John McShane Co., Inc. has vast experience with all stages of development including: Land acquisition, Design, Zoning and Planning, Construction and Management. 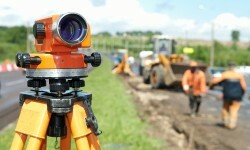 We are an experienced company that can help you with any area of development process. We are able to provide potential buyers with the pertinent information to make an informed decision with regards to a potential investment. We know how to review the key data elements in order to determine if the property is truly operating at the level that the Seller claims it to be. Let our experience guide you through this process so you can avoid a potential economic mistake. With over 30 years in the self storage industry, we know that there are a lot of variables that determine if a new self storage operation will become the investment that you are looking for. We will review the location, market, demographics, trends and statistics to help determine the risk and reward in every situation. 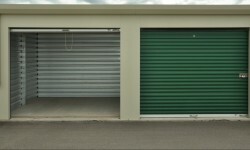 We have experience as a court appointed receiver for a self storage property. 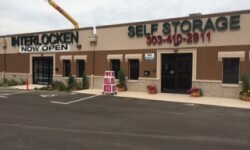 Since the banker, in the process of foreclosing on a self storage property, had no experience in the industry, he turned to John McShane Co for help. As the receiver, we managed the property for a year during the foreclosure process. During that time, we transformed a struggling, mismanaged property into a highly marketable version. Upon completion of the foreclosure, we stayed as manager until the bank sold the property a few months later.